A live overview of the industry leading process execution system for the Bioanalysis Lab. Meet The E-WorkBook Cloud: The industry bioanalytical platform of choice for both R&D and CRO laboratories…. Satisfied with your Watson LIMS? The modern bioanalytical testing lab strives to improve speed & efficiency of processes from sample receipt to final reporting, without compromising compliance or data quality. 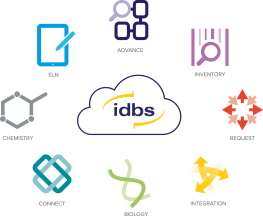 IDBS has supported small and large molecule bioanalysis for over 10 years, and now brings this expertise to the forefront with The E-WorkBook Cloud. A comprehensive suite of workflows based on industry best practice enables quick deployment with minimal configuration effort. This webinar will highlight key use cases to illustrate why the IDBS E-WorkBook Cloud is the industry bioanalytical platform of choice for both R&D and CRO laboratories.